Seattle, one of the fastest growing US cities, is a mixture of business, wilderness, food, music, coffee, and – of course – beer. Its tenants include everyone from your pink-haired neighbor that works at a boutique featuring solely local arts and crafts, to the posh fashionista that is able to strut her stuff at Nordstrom corporate, to the plaid-donning Amazonian, who types code all week with the goal of treating himself to a trip into the mountains come the weekend. There is something here for everyone, which is why so many people, cut from so many cloths, have found their way to the Emerald City. Seattle, at its core, is an explosion of culture, curiosity and adventure that has encouraged locals to continue sink their roots in deeper. It’s also encouraged transplants to plant new ones. 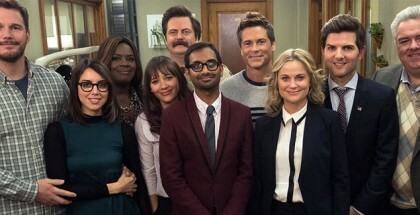 And that’s why you have to visit – even if only for two days. There are endless routes that you can take while mapping out your trip. You may choose to focus on the great outdoors, the food, the arts, the music. But let’s save all that for your second trip, and remember what matters this time around: the beer. Though you really can’t go wrong with Seattle beer, if you’re short on time the Ballard neighborhood is a must-do for any craft beer lover. Uber and Lyft are extremely convenient and readily available throughout Seattle. Most breweries and beer bars have food trucks available to serve their patrons throughout the weekend, and they often post their food truck schedule on their Facebook pages or websites. So if you’re craving something specific, start there. You’ll fly into SeaTac (Seattle-Tacoma International Airport), about 12 miles south of downtown Seattle. Like many cities, Seattle has a rush hour traffic problem, so the easiest and cheapest way to get into the city is via the Link Light Rail, which takes you from the airport to the heart of downtown. From there, start your beer journey by heading east to the Capitol Hill neighborhood. Capitol Hill is known to be Seattle’s youngest and trendiest neighborhood, which means that you’ll be able to find dozens of great bars and restaurants in every direction. 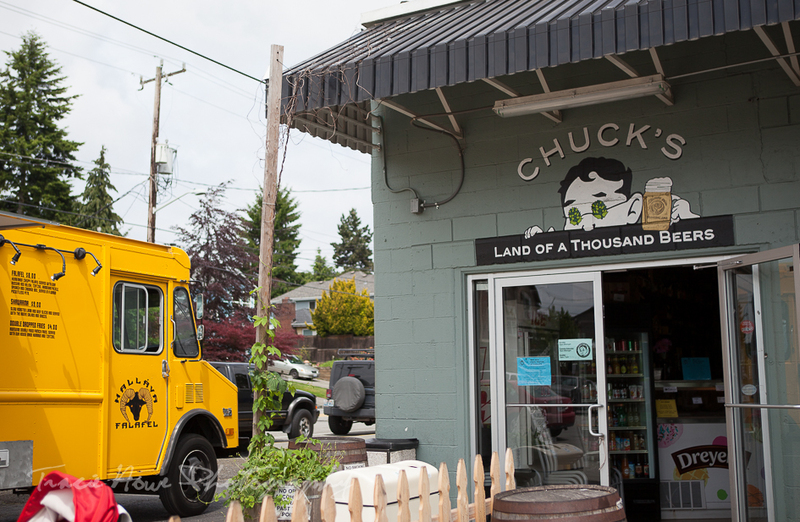 We recommend starting at the outer edge of Capitol Hill at Chuck’s Hop Shop in the Central District. Here, you will find an outdoor patio, 50 taps, and hundreds of bottled beer options to bring home as souvenirs. Chuck’s is the perfect place to sample local Seattle beers and explore the plethora of options for the rest of your weekend consumption. If you’re hungry, Chuck’s has food trucks available every night so grab a snack, but don’t fill up yet. Chuck’s is a perfect place to start the trip. Photo courtesy of jenandtraciego.com. After Chuck’s, head west to Optimism Brewing Co. Optimism Brewing is the newest addition to the Capitol Hill craft beer scene – it celebrated its grand opening on December 5, 2015 – but it has already made an impression on Capitol Hill residents and visitors alike. The owners are entrepreneurs and former Microsoft employees that spent almost two years turning the space into the brewery of their dreams. The brewery is futuristic, with a new take on pricing (no tipping) and naming conventions (beers are named simple names like “Black,” then paired with a picture and description). We recommend the Zest (IPA) or Before the Dawn (Imperial Stout). After Optimism, head to Outer Planet Craft Brewing. Outer Planet is a true microbrewery, brewing on a three-barrel system and located below microhousing units. You can’t go wrong with the sampler, and the IPA and the Saison are crowd favorites. From there, amble down to the heart of Capitol Hill and grab dinner and drinks at one of our favorite beer bars in Seattle, The Pine Box. 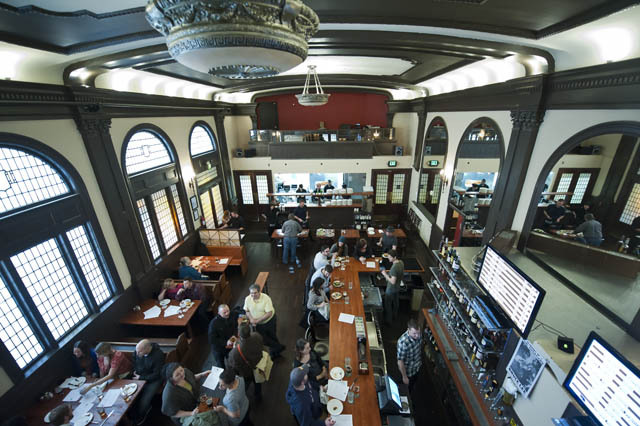 Located in a former funeral home, the bar has a really great beer-hall-in-a-cathedral atmosphere. But what makes this my favorite place to hang out in Capitol Hill, is the combination of their great beer selection (33 taps) and unique, elevated bar food. The taps are typically filled with a mix of local and national craft beers and for food, I recommend their jalapenos hummus platter, porcini popcorn, and one of their wood-fired pizzas. With their well-curated beer selection, you can easily spend the rest of your evening on the reclaimed church pews that serve as chairs. We encourage you to donate your Saturday to the neighborhoods of Fremont and Ballard. As you venture away from Capitol Hill, make your way towards Fremont first, which is sandwiched in between the ground you covered on Friday, and where you’ll be ending your day: Ballard. More on that later. You’re in need of some food after your long Friday evening, and there’s no better place in regards to food or location than Joule. Seattle as a whole, showcases incredible Korean food, but Joule continues to push boundaries and set standards with their brunch. Kick-start your day with the Maitake mushroom, Chinese celery and truffle oil omelet – or perhaps the breakfast sandwich stuffed with porchetta, scallion aioli, and rapini. You really can’t go wrong. This being said, whatever you get, you should make it quick. You still have a big day ahead of you. From Joule take a stroll down the street to one of Seattle’s best breweries and a PorchDrinking favorite – Fremont Brewing. 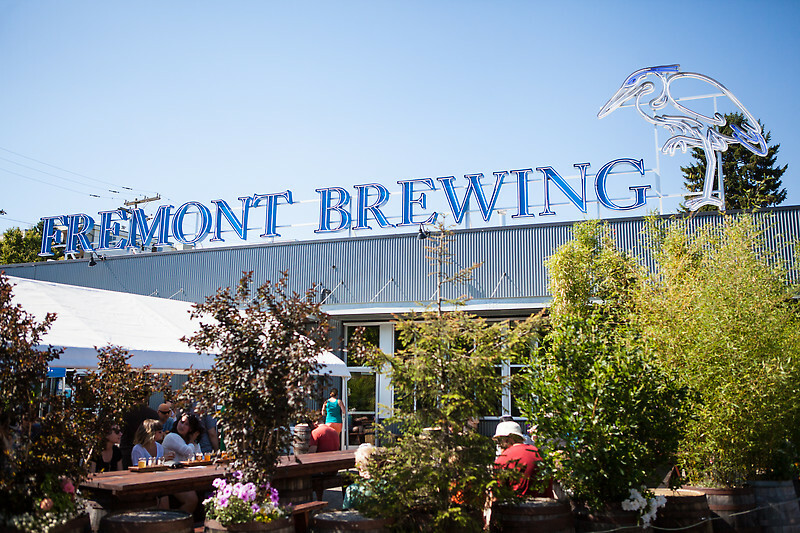 Fremont was co-founded by supercouple Matt Lincecum and Sara Nelson in 2009 and has quickly becomes a Seattle staple and gold standard for great beer, culture and ethics. Be sure to claim a spot on their spacious patio for your sipping experience – as it offers a picturesque view of Lake Union and downtown Seattle. Beers to reach for are their classics – the Interurban IPA and the Universale Pale – but also their rarities including the famed Bourbon Barrel Abominable Winter Ale, also known as B-BOMB, andBourbon Barrel Aged Dark Star Oatmeal Stout (B-BADS). 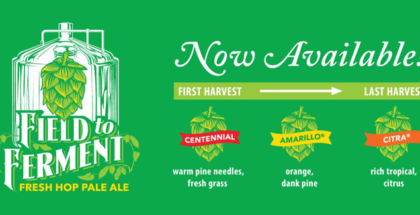 Also should you catch Fremont during hop harvest season (Late September/October) do not miss their Cowiche Canyon Fresh Hop. No matter what you get, we can guarantee you’ll sing it’s praises. Not two blocks from Fremont Brewing, is Gas Works Park. It may not sound familiar, but if you’ve seen 10 Things I Hate About You, you’ll likely recognize it. Take a stroll around the park, enjoy the view of the city, snap a few pictures, and regain some composure after being blown away by Fremont’s lineup. From Gas Works, hail a cab and tell them that you’re off to Ballard. Lucky for you, Ballard is Narnia for beer lover. Within a small neighborhood radius there are a multitude breweries within walking distance. For the easiest progression through Ballard, start at Stoup Brewing. Stoup is another favorite of PorchDrinking, and for good reason. The brewery, launched in 2013, brings ‘the art and science of beer’ together to create beers that are unparalleled in taste, quality and aroma. If the Citra IPA is on tap, it is a not-to-miss. This IPA is sunshine in a glass – bright in color and body – and oozes notes of fruit and lemon. Stoup’s newest additions to their line-up includes a German Style Pilsner, a Red IPA, and a Russian Imperial Stout, among others. Their philosophy is one that we honestly think is not done often enough. Sticking to traditional core styles and really blowing them out of the water. Savor the flavor while you can – as Stoup is not currently distributing. From Stoup, walk a few blocks to Reuben’s Brews. 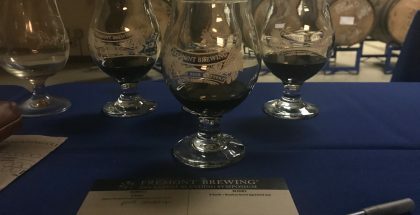 Reuben’s, which opened its doors in 2012, is a family-owned brewery, that has already been awarded Gold and Bronze medals at the 2015 Great American Beer Festival, and the ‘Mid-Sized Brewery of the Year’ at the 2015 Washington Beer Awards. If you’re not already impressed, fill up your glass with the Imperial Rye IPA, Robust Porter, or their Bourbon Barrel Aged Imperial Stout – some of the many, many celebrated brews on the line-up. We have no doubt that these will blow you away, and that your tastebuds will thank you. Profusely. Once you finish at Reuben’s, it’s time to decide if you’re willing to indulge. No? Snag something at the various food trucks that find themselves outside of Reuben’s. Yes? Or walk half a mile to The Walrus and the Carpenter. The Walrus is an oyster bar that has been featured on USA Today, Thrillist, GQ, The New York Times, and Food and Wine Magazine – to name a few. Their intimate space is beautiful – something out of a Martha Stewart Magazine – and creates an ambiance that is not easily replicated. The staff – who you’ll find shucking oysters behind the bar – are extremely helpful as you carefully select your oyster variety, and won’t lead you astray. Though the appeal of The Walrus is its decadent oysters, another incredible dish is the steak tartare – some of the best, in all of Seattle. So after all those oysters, can you bare to stomach another beer? Yes? Thought so. 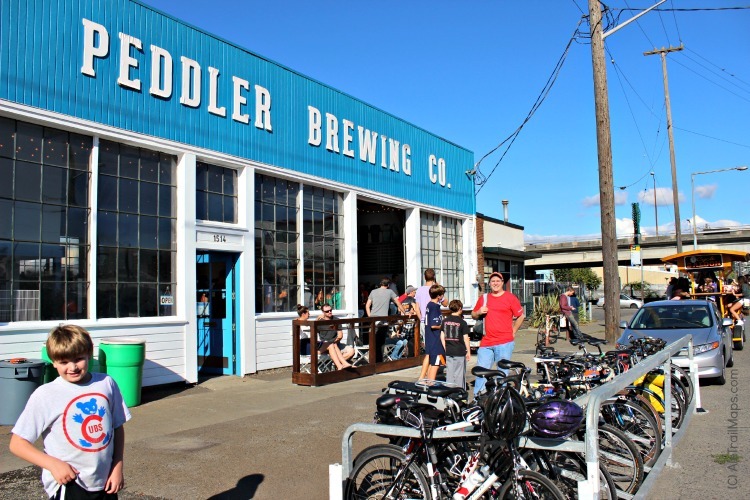 Well, you’re in luck – not even a quarter mile from The Walrus is Peddler Brewing Company. This microbrewery and taproom is not only a beer haven – it’s a beer haven for cyclers in Seattle. We suggest snatching a spot on the back patio and claiming giant jenga for a game. You might have to wait in line for the bricks, but is there a better way to end your day than with giant jenga? No. Of course not. As every beer is better than the next at Peddlers, end your day by trying it all with one of their fantastic flights. A personal favorite of ours is the On Your Left IPA. The beer – and the title – is spectacular. Conveniently, Seattle’s last craft beer neighborhood is located south of the city directly on your way to the airport. Make sure you allow a full afternoon to drink your way through Georgetown and Sodo, two industrial neighborhoods located south of downtown Seattle that together are home to roughly a dozen breweries. Start off with brunch at Schooner EXACT Brewing Co. We’re partial to the pork belly benedict, but their French toast is a great choice as well. Their 3-Grid IPA is tops amongst the Seattle-based IPAs, and you should also take the opportunity to try one of their homegrown series beers – which are brewed with locally-sourced hops and grains – if you get the chance. After brunch, you may be feeling a bit full so head to Machine House Brewery for a unique Seattle beer experience. Machine House produces traditional English style ales, most of which on the sessionable side of the spectrum. We’ve always loved their year-round Dark Mild, and they also offer rotating seasonals for those craving new brews. Still need more ideas? Several other breweries are also well worth the visit. Counterbalance Brewing Company – Celebrating their first anniversary in February 2016, Counterbalance is one of Seattle’s newer breweries, but they’re already a local favorite. The Kushetka Russian Imperial Stout is a must-try. Seapine Brewing Company – Seapine has been open since 2012, but thanks to their consistently delicious fleet of beers in classic styles, they outgrew their original space and opened a new taproom in November. We recommend the Bomb Hole Amber Ale or the Sea Witch Milk Stout. Ghostfish Brewing Company – Ghostfish is a gluten-free brewery that uses millet, buckwheat and brown rice as their malted grains. 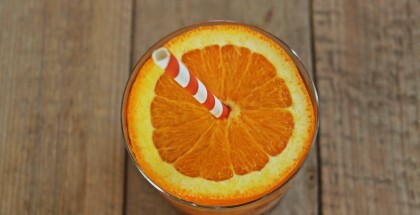 Check out their Grapefruit IPA for their unique take on the popular Seattle style. Finally, end your day with Two Beers Brewing Company. Visit them in their new tasting room, The Woods, which is a shared space with the Seattle Cider Company. The Woods features 24 tap handles, an outdoor patio, and bar games like darts and pool so it’s the perfect place to stretch your legs before your flight. It’s also a great place to eat before you get stuck with airport fast food – the Woods is home to Bread and Circuses, the first brick-and-mortar location for a beloved food truck that serves “reimagined” bar favorites. Pair one of their juicy, mouthwatering burgers with Two Beers’ flagship Evo IPA for a meal that will leave you satisfied all the way home.